Instead of taking another trip to New York City this year (as I already mentioned in the headline: we are crazy *g*), we pulled on our trecking boots and backpack and enjoyed beautiful days in Switzerland. 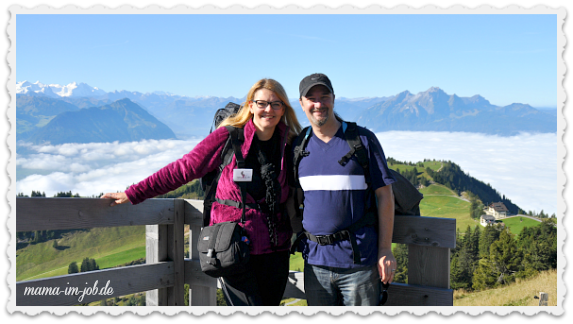 On our anniversary we visited the so called Queen of Mountains, "Rigi", and stayed in a nice hotel with pool and spa. Queen Rigi surprised us with a beautiful view with lots of clouds over Lake Lucerne (Vierwaldstätter See), which looked like an ocean, because we've been above the clouds, as you can see in thee picture.